As an industry, we have the opportunity to make everyday connections with people that others can only dream of. We have the opportunity to create the kind of ideas that transform how people feel about brands and companies; that inspire passionate followers and even create movements. I want to talk about how we can all do this. I want to focus on the power of purpose, the power of people and human insights, and how – from this – we can create big ideas that can travel the world. I often start off my discussions these days by acknowledging that the world of brand building is undergoing the most significant change since the end of World War II. The 2000 dot.com explosion released technology forces. And the 2008 recession created an inflection point that requires brand building innovation to survive and even thrive. There are several forces that we believe are creating conditions for true breakthrough. Technology gives people 24/7, real-time connections to everyone, and the power to transform public opinion on just about anything, including the direction of brands, companies and even countries. And mobile technology is unleashing a new wave of power as nearly every person on the planet will soon have transparent, always-on information, education, and even entertainment. Trust in institutions is eroding so people want to know who is behind brands and companies; and if we’re interested in improving lives, versus just making money. Today’s heroes are "everyday people" whose actions inspire others to follow and whose stories generate the most interest and advocacy. People are participating. They’re involved in conversations about our brands and companies like never before. They’re creating content through conversations, and creative expressions of how they think and feel about topics. To address these forces, P&G’s vision is to build our brands through lifelong, one-to-one relationships in real-time with every person in the world. But achieving this vision requires some fundamental shifts in how we operate. - It requires shifting our mindset to think of who we serve as "people", not just "consumers" in order to make their whole lives better. - It means shifting from superior products as the sole source of brand value, to creating value from a wide range of sources, including a broader range of disruptive and transformational products, non-product services, knowledge, information and even entertainment. - It means shifting from static marketing campaigns that we launch and adjust infrequently, to real-time "always on" brand building with ways of constantly engaging people to participate in our brands, and – at their best – even inspiring movements. - It means shifting from mass broadcasting, to creating more personal, one-to-one conversations with individuals and the communities in which they’re active. - It means shifting from a linear path to purchase that ends up at a physical retail store, to an approach of "anywhere, anytime" shopping. At the centre of this vision is one area that will not change in our industry or with P&G: purpose-inspired, benefit-driven brands that need big ideas. 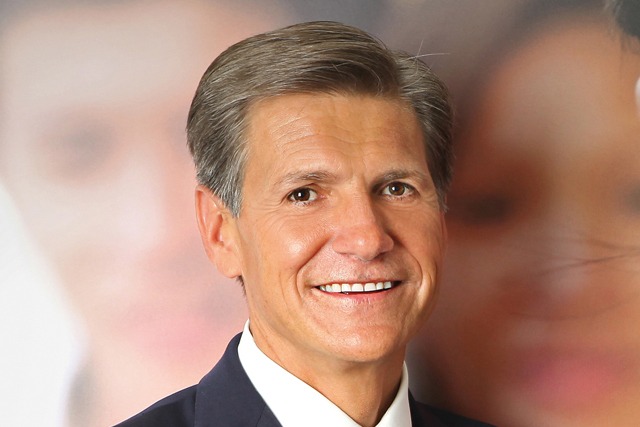 At P&G, every brand must define its purpose of how it uniquely touches and improves lives with its superior benefit. Brands must still discover deep human insights that make a brand relevant in a person’s life. And from these insights, brands must create big ideas that drive preference for its superior benefits. We translate big ideas into content that engages people in conversations with our brands. We are building brands in a rapidly changing world - and in a digital world. But I’m clear to tell our marketers that we don’t need "digital marketing" plans. We need holistic brand building plans with big ideas that can be executed in a digital world. I’m excited about the opportunities that these shifts present to us as brand builders. And it’s also my belief in the power of purpose that makes me so optimistic about the future. With Pampers, our biggest global brand, we touch the lives of billions of mums, dads, babies and toddlers worldwide, through the brand’s purpose to improve baby’s happy, healthy development. It’s a bold statement for a nappy, but Pampers knows that the benefit of dryness, fit and comfort allows babies to sleep, play and explore. And when babies sleep better, play better and explore more freely, they are happier and healthier as they develop. Who here has had a baby? And who here has woken up in the middle of the night? It’s not much fun, right? And you soon see the value of a good night’s sleep. You know that after a good night of uninterrupted sleep, babies wake up happier the next day, they eat better, play better and develop better. This led to the idea of "a better tomorrow starts with a night of Golden Sleep." Bringing the purpose of the Pampers brand to life through this big idea, and to the fore of everything we do on the brand, is so powerful that we are seeing even greater preference, participation, advocacy and, in turn, growth than ever before. Always: "The brand helps to connect women around the world"
And the same is true across our portfolio. Always empowers women everywhere to positively embrace womanhood; a big ambition for a feminine protection brand, but the people of Always know that making a better product to discreetly provide the benefit of cleaner, drier protection gives women freedom and confidence to bring their best self every day. "They’re good to go". This is important in the developed world but even more significant in places like Africa. There, one out of five girls don’t complete sixth grade, and less than half of the girls attend secondary school. The onset of puberty is one factor for the incredible absenteeism and dropout rates for girls in developing markets. Girls often don’t have adequate feminine protection when they have their period and rather than suffer discomfort, embarrassment or even ridicule, they skip school during that time which can ultimately lead to them dropping out of school altogether. By embracing the purpose of the Always brand and the difference it can make in these girls’ lives, the brand helps to connect women around the world, to contribute to each others’ development. They feel natural empathy and affinity to the cause as well as the people it serves. Consumers connect with the programme, but importantly, make an intimate and personal connection with the brand purpose and how they are involved. "Old Spice helps guys navigate the seas of manhood"
The human insight here is universal, every guy wants to be a man, but they are secretly afraid they are not manly enough. So "Ladies, look at your man, now look at me, now back at your man, now back to me" taps into that insight with perfect precision. And the benefit payoff: "But at least he can smell like he’s me". Not only are Old Spice sales and share on fire, but this big idea is now part of the national and global conversation. Embracing our purpose of touching and improving lives has also inspired one of the most exciting partnerships in our history and a breakthrough approach to how we operate in this new world order. I’m talking, of course, about our partnership with the International Olympic Committee and our global ‘P&G Proud sponsor of Mums’ campaign. Our first historic step into the Olympic movement came in 2010 at the Vancouver Winter Olympic Games. "The Olympics are a world class event with world class athletes and it requires world class marketing. You will be judged." That’s the kind of helpful, friendly advice that tends to stay with you when you’re about to launch the biggest campaign in a company’s history! We knew we needed a big idea that united the common purposes of the two organisations and would allow P&G and our brands to find their place in the Olympic conversation. We challenged our agencies to develop an idea that united P&G’s purpose of touching and improving lives with the Olympic movement’s purpose of building a better world through sports. They came back and said, at first glance, we thought P&G and its brands have little to do with the Olympics, until we thought of this simple truth: behind every amazing Olympic athlete is an even more amazing mom - or ‘mum’. Mums are with their children every day and every step of the way, helping them realise their dreams. And, while we are not in the business of making athletic equipment or sports apparel P&G is in the business of helping mums. From nappy changes to brushing teeth; to washing hair or taking a shower; or doing the laundry, P&G has been there for mums for nearly 175 years. They are the unsung heroes of Olympic athletes, and of life itself. So we decided to recognise mum, celebrate her and simply say - something that not everybody says all the time - "thank you, mum" to every mum in the world. We learned so many things from Mums of Olympians in Vancouver. First, we were surprised to hear that after all the sacrifices, many mums and families aren’t able to make the trip to see their child compete. We wanted to help, so we created the "Thank You Mum Gift" to help Mums and families get to the Games. We learned that when they get to the Games, they can’t enter the Athlete Village to see their children. It was difficult for athletes and families to get together. So we created the P&G Family Home as a gathering place with services to help mums. This was a ‘home away from home’ that became the place to relax, celebrate and create lasting memories well beyond the Games. It was an incredible experience for our company, our employees and for the mums and families we had the honour to meet. In total, the 2010 campaign generated more than 6bn media impressions—half of those through editorial coverage. It added 10 points to P&G favourability, resulted in more than $100m in extra sales during the period, and we made a lot of friends along the way too. Now we’re embarking on the next stage of our Olympic journey --- the road to London 2012. Throughout this journey, we are committed to being the best partner the Olympic movement has ever had. And in doing so, we believe we can build our business through brand programmes and through our corporate P&G Proud Sponsor of Mums programme. We will bring all that we learned from Vancouver, and more. For example, we thought there was a way to do more for all mums so we asked mums from all around the world what we could do to continue to express thanks and help them. They’ve told us that sports help them raise healthy, happy kids. Those of us who have been fortunate to have access to sports programs know that sports instils discipline and hard work, it keeps kids out of trouble, and it builds life-long confidence. In some countries, schools can’t afford sports programs or equipment or coaches so it can be a big challenge for parents. So, as another way of saying "Thank You, Mum", P&G is partnering with the IOC and National Olympic Committees around the world to support local youth sports organisations. Starting on Mother’s Day until the close of the London 2012 Olympic Games, through brand purchases and donations, we plan to raise $5m worldwide for youth sports. The simple act of buying everyday products can help kids have access to sports around the world. We’re proud of this part of the programme and we’re also very proud of the programme we’ve been working on here in the Olympic host country. We launched the campaign here in the UK a year ago on Mother’s Day 2011. We’ve rolled-out multi-brand campaigns to give mums and families the chance win tickets to the Games when they buy P&G products. We’ve formed one of the biggest media partnerships in our history to create the Champion Mums Foundation. And we’ve launched ground-breaking partnerships with the British Olympic Association, Paralympic Association and the Olympic Committee of Ireland to support the nearest and dearest of all our Team GB and Team Ireland Olympic and Paralympic athletes - and this is really special. Through our nearest and dearest programme, we’re helping the mums and families of our athletes to be the best supporters they can be. The way we look at it, happier mums mean more medals, right? And part of this support is a special gift from P&G. We’re giving every parent of our Team GB and Ireland athletes, tickets to see their son or daughter compete at London 2012. They’ve done so much for their children, sacrificed so much for them, and we want to tell that story and bring it to the public. It’s an everyday story that’s familiar to so many and truly resonates: the story of a Mum’s contribution to raising a good kid. So often overlooked, yet so compelling. And, at the same time, we’re bringing our Olympic partnership to life through more than 30 of our leading brands. Around the world, our brands will be sponsoring a world class team of more than 150 athletes. Gillette has announced a line-up of 24 athletes including Roger Federer, Ryan Lochte and Tyson Gay. Michael Phelps, the 14-times gold medal winner, is helping Head&Shoulders to give men all over the world the confidence they need to be at their best when it matters most. Here in the UK, we have some of the country’s leading athletes behind us too. Sir Chris Hoy, Jessica Ennis, Paula Radcliffe, Mark Cavendish and many more will be the faces of 2012 and we’re delighted to have them associated with our brands and campaigns. People want to hear their stories, to follow their progress and feel part of their success, and we’re delivering that. We all know that London 2012 is going to be all the more exciting because it will be the first truly digital games. We’ll still be bringing blockbuster ads to the nation’s screens to tug at the heart strings like the famous ‘Kids’ ad from Vancouver that I hope you’ve all seen, but we’re also driving our campaign across digital platforms like never before. We want to be a part of the Olympic conversation in London and around the world. And we’re going to use our voice to celebrate, recognise and reward the role that mums play in all our lives. Through our P&G Thank You Mum campaign and all our brands around the world, we’re building a meaningful, long-lasting emotional connection with billions of people, centred on what we do for them. How we, in our own way, make their life just a little bit better. So, this is my advice to you: Since we are all building brands in a digital world, I would encourage you to "do and learn". We are trying to make this shift ourselves at P&G – and it’s not always easy. But we have to try new things, be accepting that some things won’t work and learn why. If we are going to live our vision to create 1:1 relationships in real time with every person in the world, this is the only way to do that - and we believe it’s the future of brand building. Put purpose at the centre of your activities and particularly your brand building strategies. To differentiate yourselves by homing in on what unique contribution you make in people’s lives. And let that seek out deep human insights about people, which will inspire big ideas that drive preference for your brand or company and participation in everything you do. The rewards can be best-in-class brand building, market share growth and, even better, a powerful impact on people. And finally, as a person and as a leader, define your own purpose. What drives you? What difference do you make in people’s lives in and outside of your organisations? I think of my simple purpose in life as "to be useful". To be useful in every meeting, every pitch, planning session or business review; to be useful to all the people around me.